When Honda announced the end of the NSX’s participation in the Super GT due to new regulations only allowing front-engine, rear-driven cars, fans around the world winced a little. Little did we know what Honda had cooking in their chemistry lab of motorsport awesomeness. 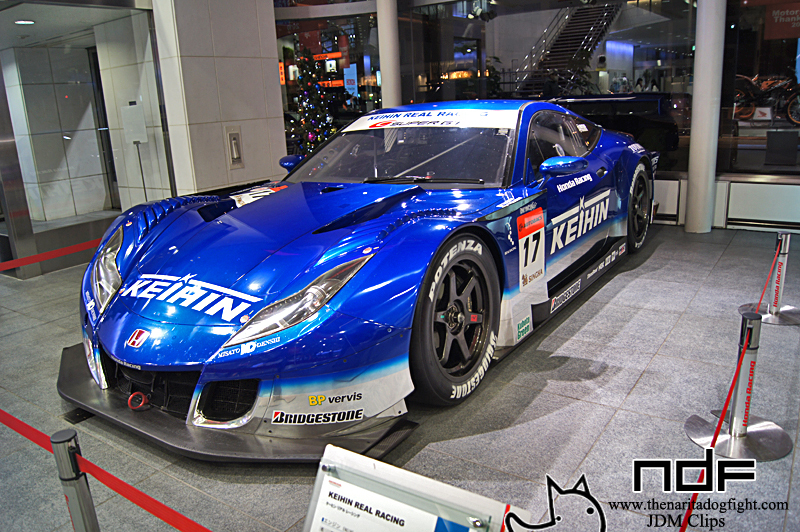 They announced their new GT spec car towards the end of 2009 as a successor to the popular mid-engined NSX, that was to compete in the GT-500 class in 2010. 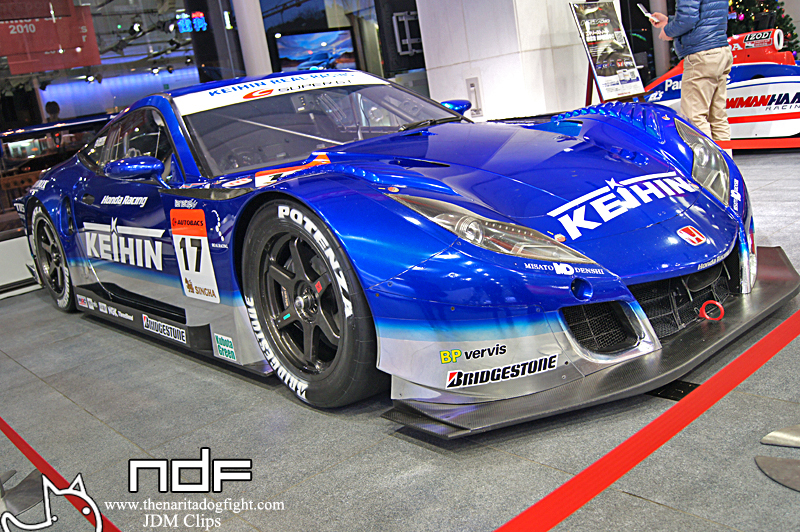 I believe there were four teams that utilized the HSV; Epson, Weider, Autobacs, and Keihin. 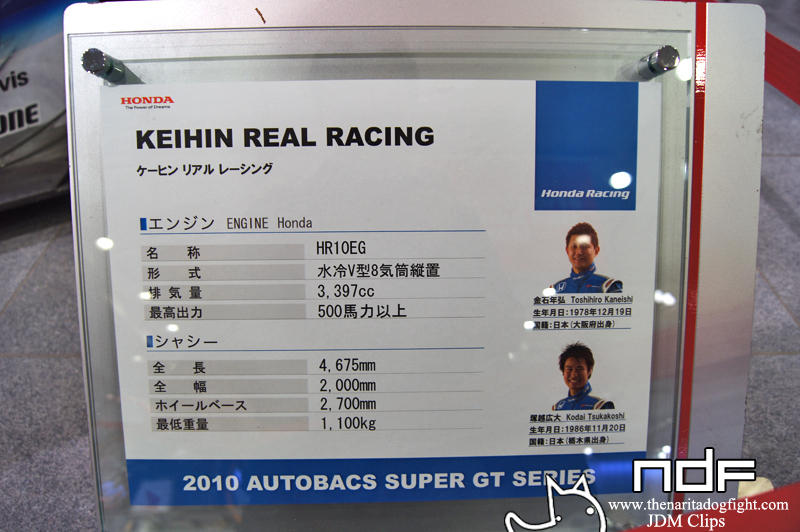 Of these teams, Keihin managed the best performance of the season. You can watch the race at Sportsland Sugo here; the spectacular ending, and win for the Keihin team, was a highlight of this season. This win helped them to acheive 3rd place in the championship. 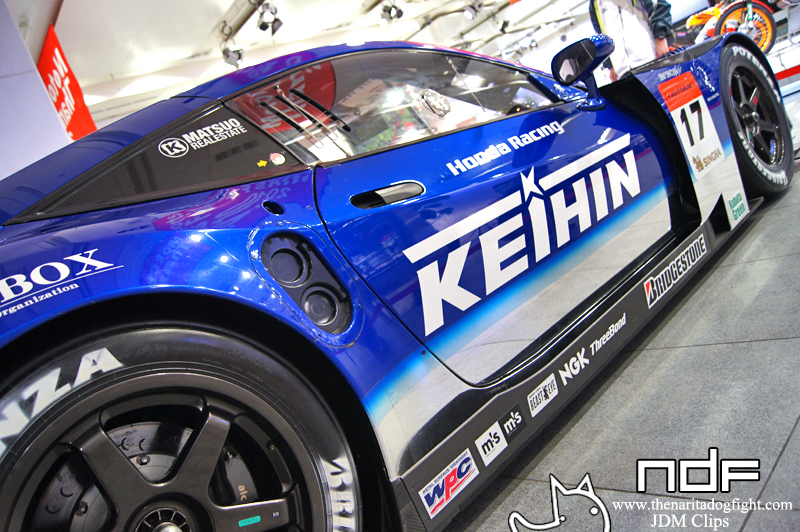 If that’s not enough HSV-ness, click over to JDM Clips to see the Keihin HSV in action in Motegi. 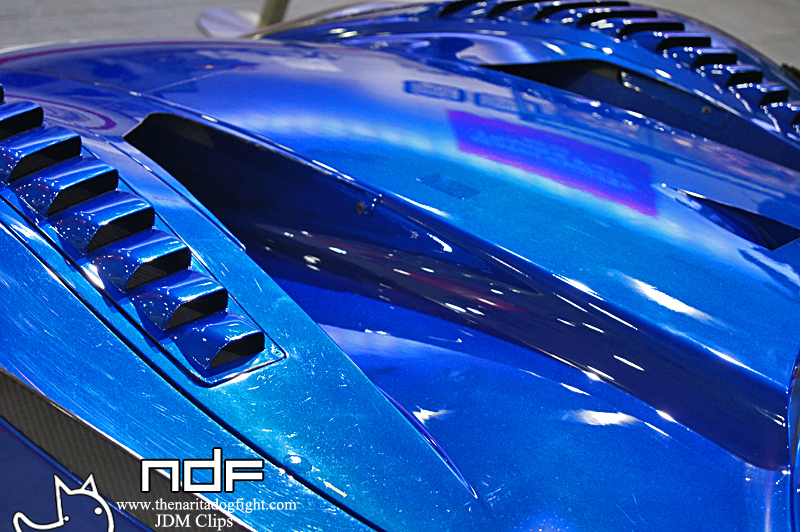 Thanks to JDM Clips for some great shots. 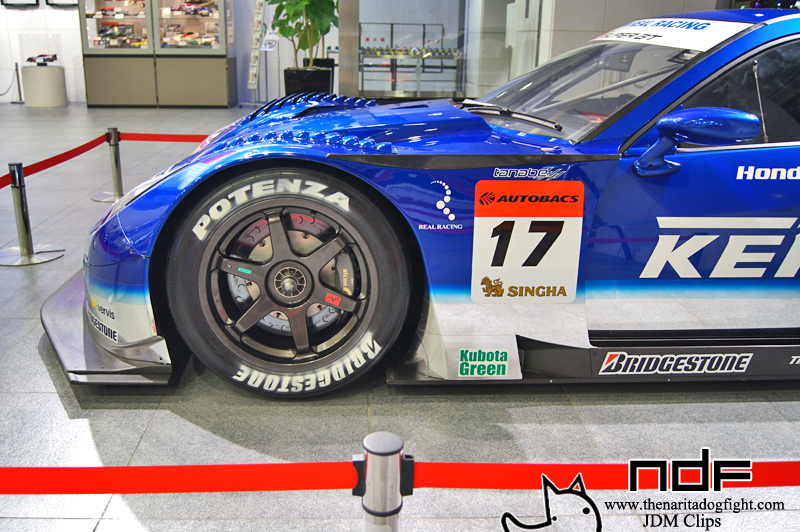 These photos were taken at the Honda MotorSports Thanks Fair at the Honda of Japan Headquarters building. It’s great how Japanese companies appreciate the fans and consumers enough to realize these are the kind of exhibitions we love to go to. To get to see the cars up close. If you take a minute to just stare at the HSV, you can begin to realize, and appreciate its uniqueness. Being a successor to the NSX GT, you would assume there would be some subtle body lines that are similar, but it is quite different from its father. It’s stout nose and wide rear end are refreshingly new looking. 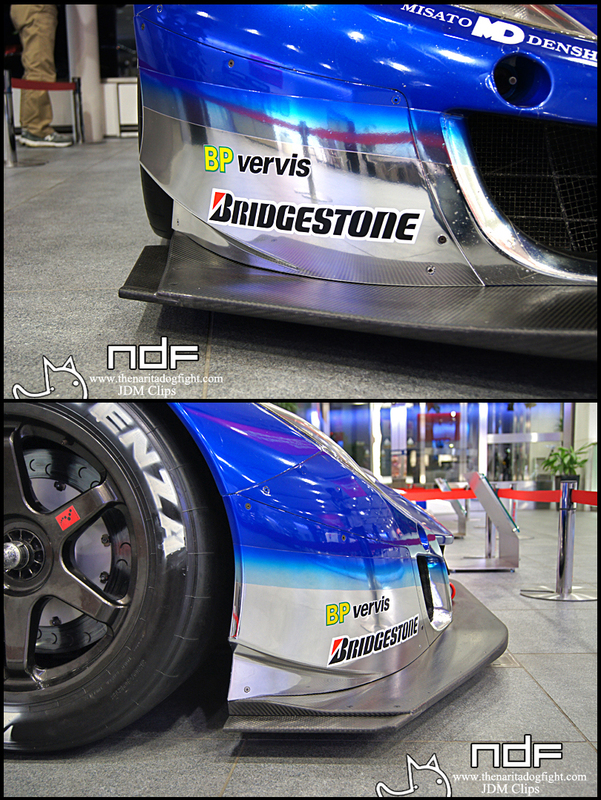 A close up look of the front aerodynamics. The dry carbon parts are a great contrast to the blue and silver paint scheme. 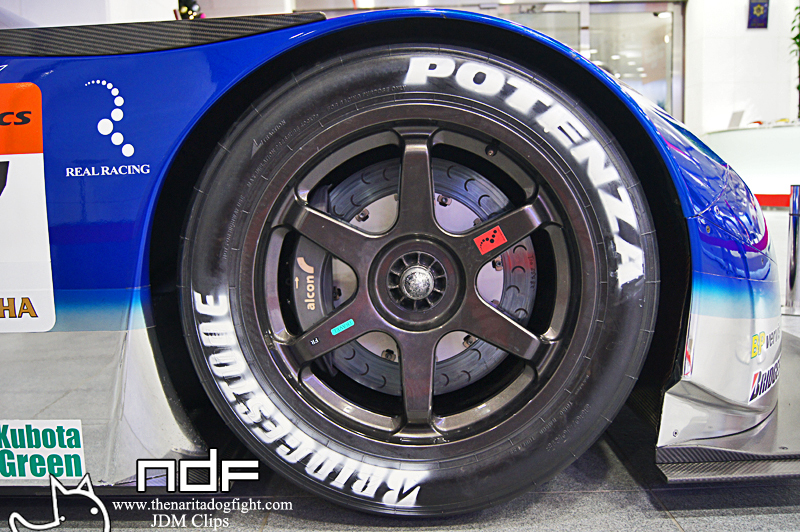 Close up of the singe lug, and the massive (massively expensive) Alcon brakes. Alcon makes a brake kit for the R35 that runs close to $14k. Yikes. The rear of the HSV actually reminds me a little of Toyota’s new FT-86. I think it might be the similar taillight design. I love how the wing is mounted on these. Another great shot from the rear quarter panel, outside the building. Gives you an idea of the flow of the car, and how wide it is. Nice front profile shot. The little aerodynamic touches on this chassis trip me out. You can see how far out the splitter is from the bumper. I like the airfoil that runs off the fenders up to the side mirrors. In fact, in this shot you could probably point out a dozen little aero bits. Here is that airfoil again (bottom left). The hood shows signs of intense circuit battles, but is in good shape still! Honda must have polished her up a bit. Some info on the drivers and stats of the chassis and engine. Toshihiro Kaneishi & Kodai Tsukakoshi were the team drivers for 2010. I think Honda broke the mold with the HSV. To achieve such success with a brand new car in the first season is very rare. 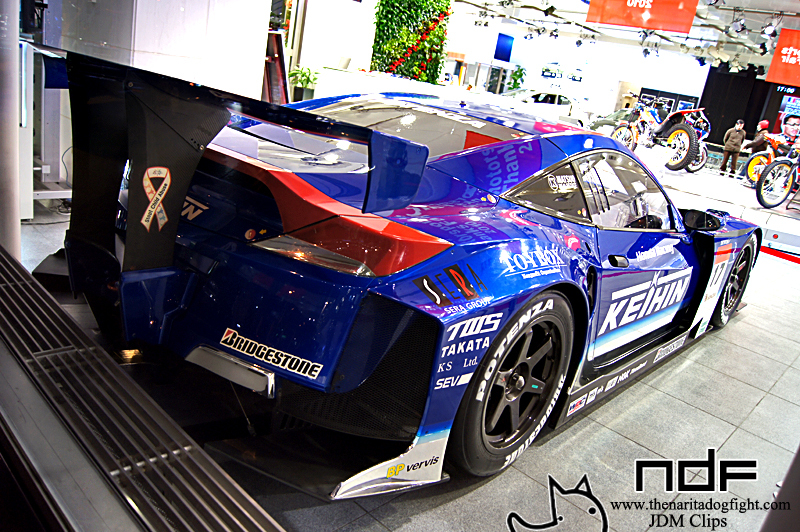 I can only imagine what the HSV can achieve in the next few years of Super GT. Hope you enjoyed the pictures! 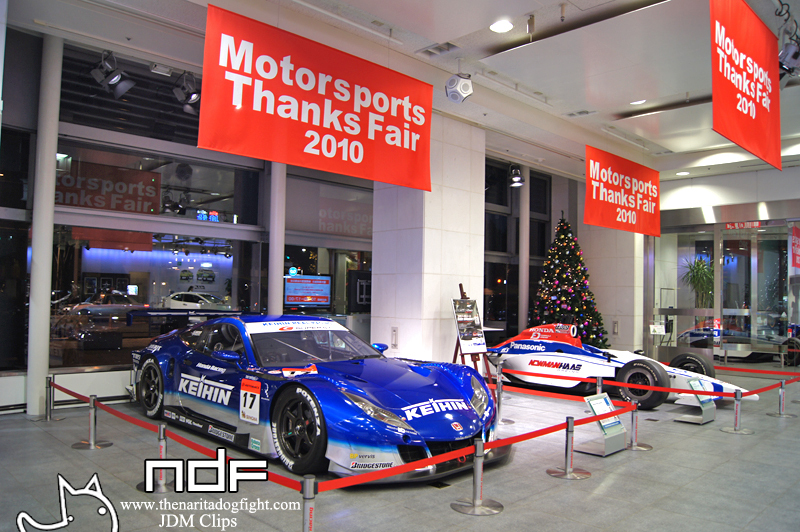 Big thanks again for the pics from JDM Clips. Please support them by clicking the link, and checking out some awesome vids from motorsports all around Japan. For full stats check out Real Racing.